As deforestation in the Brazilian part of the Amazon rainforest was hitting its lowest levels in over two decades, some special interests had introduced to the local Congress some law to change that. Luckily, environmental organizations has been campaigning to avoid those catastrophic changes. 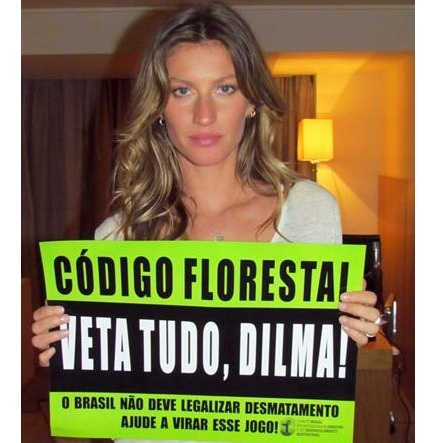 Celebrities joined in too… Even more fortunately, the Brazilian President – Dilma Rousseff – vetoed those changes. “We applaud President Rousseff today for vetoing the most dangerous parts of this law and for her continued commitment to ending Brazilian deforestation by 2020. This is a small, but important victory for the global environmental movement. Just like in the United States with the No Keystone movement. Let’s keep up the good work, there is plenty to do ahead.